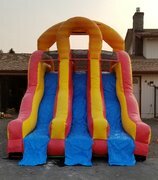 Inflatable Event Professionals offers the best water slide rentals in Tacoma and the surrounding areas. 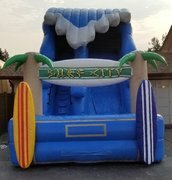 When it comes to ensuring that your guests enjoy hours of countless fun, there's no better choice than an inflatable water slide. 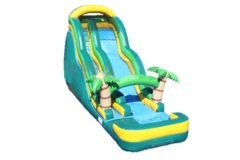 Our 18' Tropical Palm Tree Water Slide is a great addition to any tropical themed event or the perfect center piece for just about any party. Also, be sure and take a look at our 12' Waterfall Water slide. 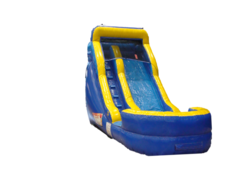 Can't decide between one of our bounce house rentals or an inflatable water slide? Why not have the best of both worlds. 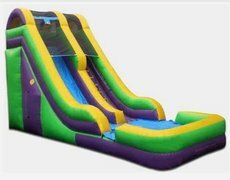 Our combo bouncer rentals are perfect if your guests would love to bounce AND slide. 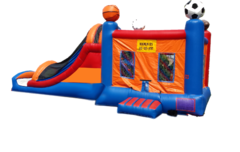 Whether you're looking for a cotton candy machine rental, a fun inflatable obstacle course or one of our dunk tank rentals, we have you covered. Our vast inventory is sure to amaze and delight your guests, and we are sure to have everything you could imagine. Planning your next party or event has never been easier. Simply choose your date, select your items and book your event, right here on our website. If you'd prefer or have any questions, please don't hesitate to call our friendly knowledgeable staff at (253) 353-9797. Our delivery team is also trained to set up our party rental equipment safely, to present themselves professionally, and to be courteous at all times.